Apple plans to break down the barriers between the Mac and HDTVs with its forthcoming OS X 10.8 Mountain Lion operating system update, which will bring the AirPlay Mirroring feature currently found on iOS to the Mac. 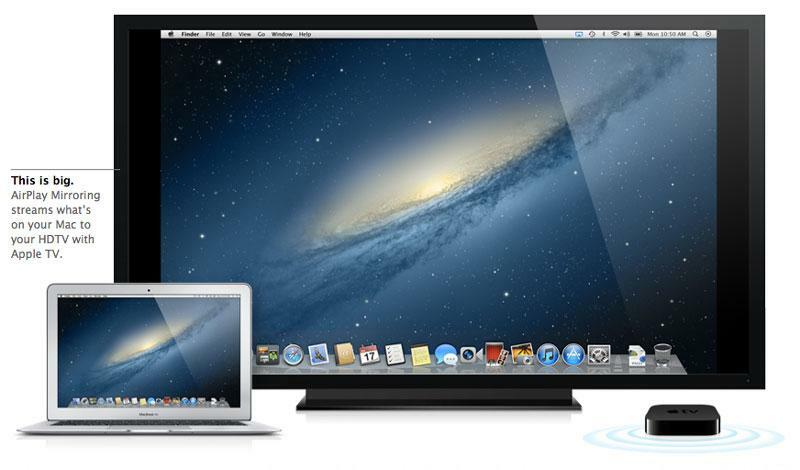 With AirPlay in Mountain Lion, users will be able to wirelessly broadcast and mirror their Mac desktop in high-definition to the Apple TV set-top box. It's the same ability iPad users have had for months, displaying everything users can do on their device onto the big screen. It's yet another way that Apple is bringing features first pioneered on its iOS mobile operating system back to the Mac, a transition that began in earnest with the launch of OS X 10.7 Lion last July. 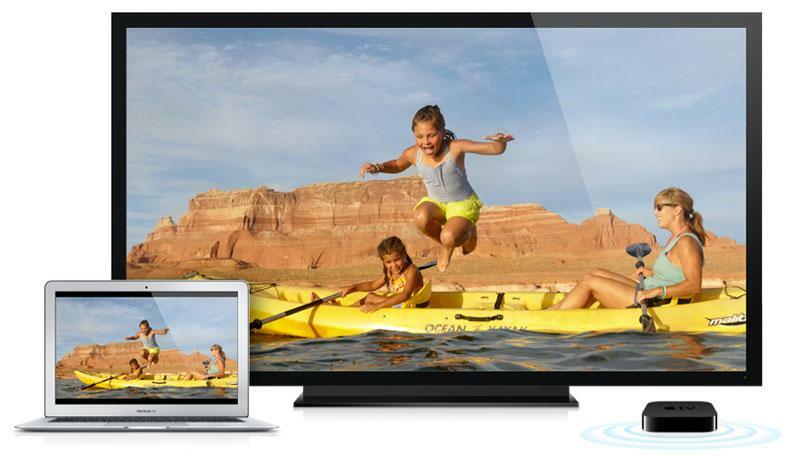 AirPlay Mirroring will allow users to transmit whatever is being displayed on their Mac to an HDTV connected to an Apple TV. That includes websites, videos, applications and anything else, all transmitted without the need for any cables or adapters. AirPlay Mirroring for Mountain Lion will send a video stream with audio to an HDTV, and will even scale what's on a user's Mac to fit the screen appropriately. Apple has said that a sharper image is possible if a display resolution is chosen to match the 720p output of the Apple TV. Keynote will also feature support for AirPlay Mirroring, which Apple has highlighted as an easier way to transmit presentations made in the Mac application to a big-screen HDTV. Support for AirPlay Mirroring will also be found in the iMovie editing application for Mac. Users will be able to quickly display their just-completed movie to an HDTV where everyone can view it. As it works with iOS, detection of an Apple TV is automatic in Mountain Lion, allowing users to quickly utilize AirPlay Mirroring without the need to set anything up. And the data sent over AirPlay is encrypted for security. AirPlay Mirroring is already functional in the developer preview of Mountain Lion that was provided to members of Apple's Mac Developer Program on Thursday. The final version of Mountain Lion will be available for users to purchase on the Mac App Store late this summer.